Have you ever had cake for dinner? I'm guessing most of you have, at one time or another. But that isn't actually cake. Did it fool you? It's cornbread. I used the mixer to whip a ton of air into a pat of butter, then spread it on the cornbread just like frosting a cake. 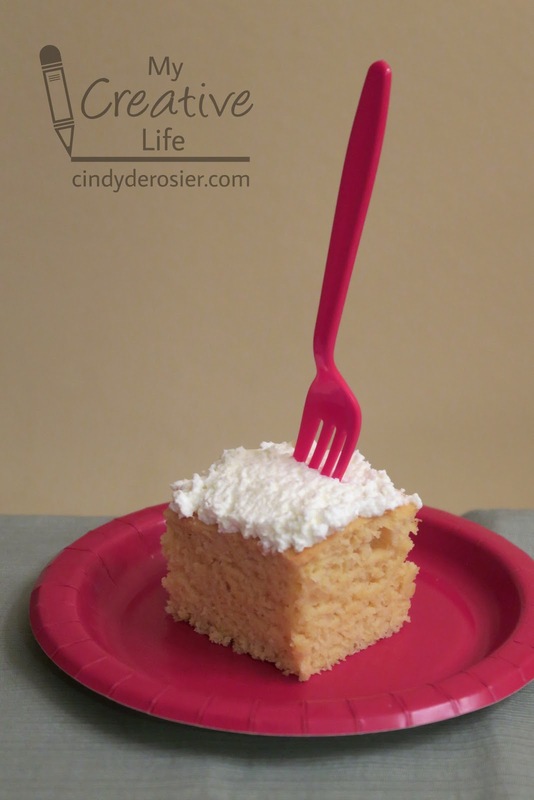 Serve it on a paper plate and stick a fork in it and it looks just like a piece of cake. This cornbread was 1/3 of a cake-themed dinner that I made for Jonna's birthday. It was the most successful, appearance-wise, of the three dishes I attempted. 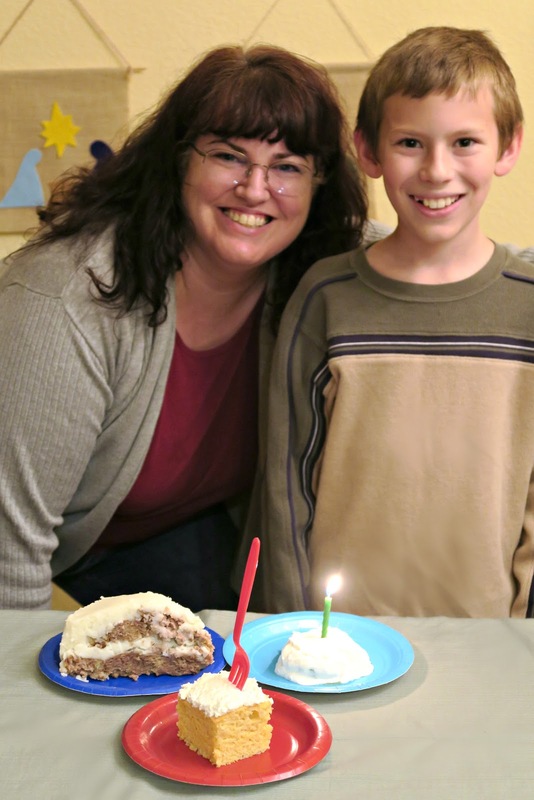 Would the other two "cakes" have fooled you? Any guesses what they are? 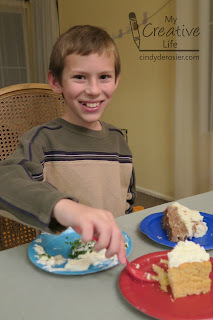 The 'cake' on the dark blue plate is meatloaf and mashed potatoes. I used this recipe. It tasted great, but as you can see, it doesn't quite pass as cake. That is because I put it together while the meatloaf was straight out of the oven and mashed potatoes were really hot. There's a reason you cool cake completely before frosting it. If I'd let both components cool, I could have made a passable cake, but then we would have had to eat cold meatloaf and mashed potatoes. No thank you. The 'cake' on the light blue plate is a parmesan spinach cake, 'frosted' with whipped ricotta. Rather than letting the spinach cool completely, I immediately covered it with ricotta. And, of course, the ricotta did not want to spread beautifully on a 400° spinach cake. Nor did I want to serve cold spinach cakes. Trade offs. I highly recommend having 'cake' for dinner sometime! OMG - first of you had me at "Cake for Dinner", LOL! Second, once I realized what it all actually was... I was still super excited and was suddenly... super hungry! I love all those foods! Thanks for an amazing birthday celebration! The food was so good and I went back for seconds on the meatloaf!